Here’s a complete step by step tutorial on how to create a macOS High Sierra USB installer drive right on your Mac for clean install. Learn to Create a macOS High Sierra USB Installer Disk for Clean Installation. 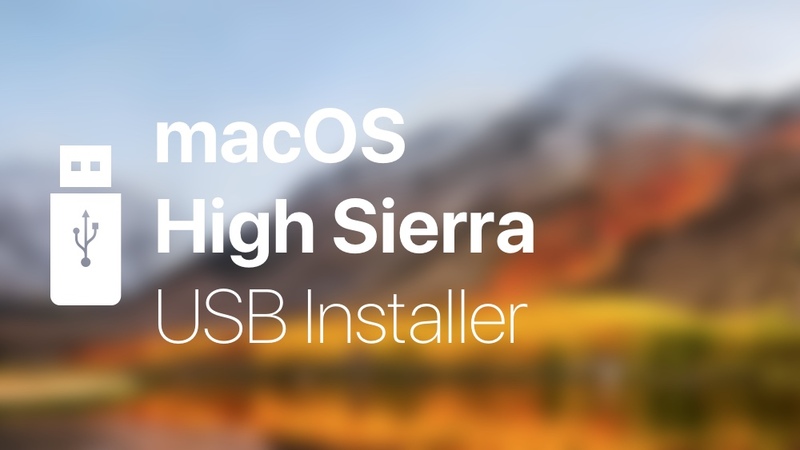 If you are looking to clean install macOS High Sierra on your Mac, then having a USB installer disk is a must. In today’s guide, we will show you how to create one in a complete step by step fashion. But before we dive in, there are a couple of things you must do before you end up with a macOS High Sierra USB installer drive. 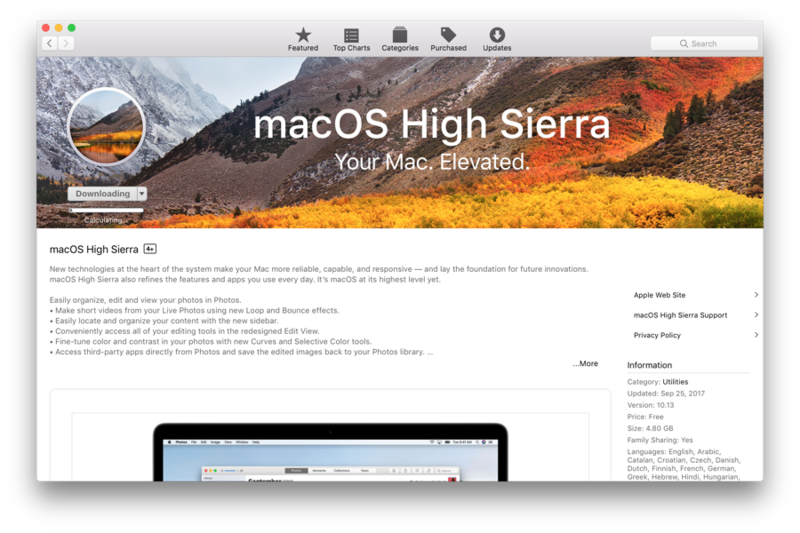 Starting with downloading the macOS High Sierra image file from the Mac App Store. Download the macOS High Sierra Image File. If you don’t have the macOS High Sierra image file, then you have to download it first. You can download it from the link posted below. Once the download is complete, do not install it. Just leave the image file as it is in the Applications folder. Format USB Drive Which You’re Going to Use as Installer Source. This is an extremely crucial step. Get yourself an 8GB (or more) USB flash drive. Once you do, plug it in your Mac and follow the steps exactly as they’re outlined below. Please do not make changes that are not outlined in the guide. 1. Plug in your USB drive to your Mac and then launch Disk Utility. You can launch it by opening Spotlight Search, then do a quick search for Disk Utility. 2. 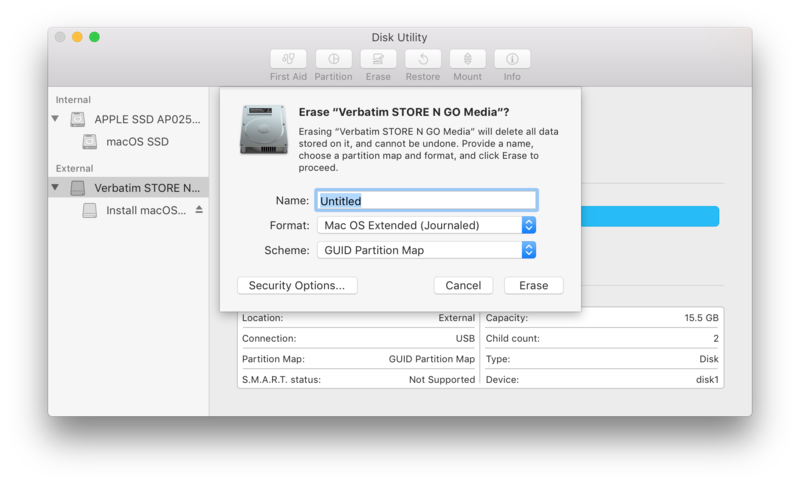 Once Disk Utility is in view, select your USB drive from the available choices on the left then click on the Erase button at the top. 3. Without changing anything at all, click on the Erase button. Refer to the screenshot below to make sure you haven’t made any change even by mistake. Once the USB is done erasing, move on to the next step. Create macOS High Sierra USB Installer. This is the final step in the USB installer making guide. Also, this is the step which you have to get absolutely right otherwise all efforts will go to waste. It’s best to read through the guide several times before ultimately punching in the command itself. 1. Plug in the formatted USB drive to your Mac. If it’s already plugged in then move on to the next step. 2. Launch Terminal. Open up Spotlight Search and do a quick search of Terminal and hit the Return key on the keyboard. 3. Now, with the USB plugged in, type in the following command exactly as it is. There’s no chance of error at all. Also, see those single, long dashes? They’re actually double dashes. The website font is making them appear like that. Refer to the screenshot right under the command and you’ll see immediately what I’m taking about here. You’ll be required to enter your Mac’s login password, so please do so when prompted for it. The entire process, if followed correctly, will take no more than a few minutes. If you have a USB 3.0 drive, then you’ll boost through the process like a champ. Now you can move on to the next big step – clean installing macOS High Sierra. Check out our guide below for more details.